Background: There is increasing recognition that obsessive-compulsive disorder (OCD) and putative OCD spectrum disorders (OCSDs) are not homogenous entities. Gender may provide an important window onto the heterogeneity of these various disorders. 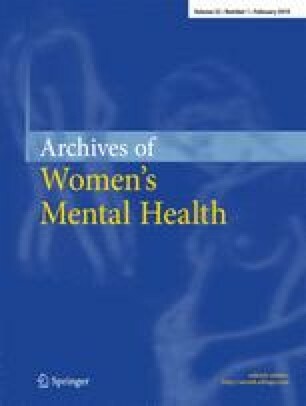 Methods: A MEDLINE review of gender issues in OCD and putative OCD spectrum disorders (excluding eating disorders) was undertaken (1965–2000). These included demographic variables, clinical phenomenology, etiological factors, and treatment implications. Results: OCD differs from other anxiety disorders in having an approximately equal male:female gender ratio. OCSDs (e.g. body dysmorphic disorder) may have an equal gender ratio, may be more common in women (e.g. trichotillomania, hypochondriasis) or may be more common in men (e.g. Tourette's disorder). Etiological factors may differ across gender; an association between perinatal or early brain injury and OCD or Tourette's appears particularly important in males, while OCD and trichotillomania may also begin during pregnancy or shortly after childbirth with exacerbation of symptoms during menstruation. It is not clear that anti-androgens are effective in OCD, nor that gender predicts response to serotonin reuptake inhibitors in this disorder. Conclusion: There is a relative scarcity of literature addressing gender issues in OCD and putative OCSDs. That literature which does exist is not entirely conclusive, but raises a number of interesting questions for future research. Keywords: Obsessive-compulsive disorder; obsessive-compulsive spectrum disorders; gender.